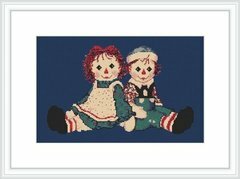 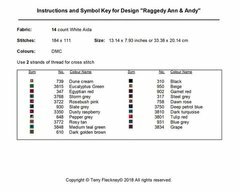 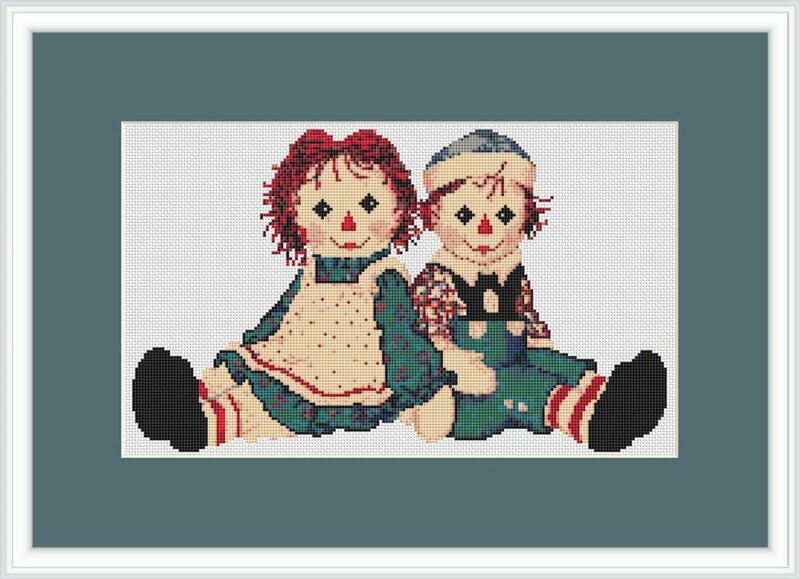 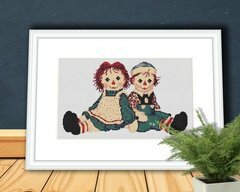 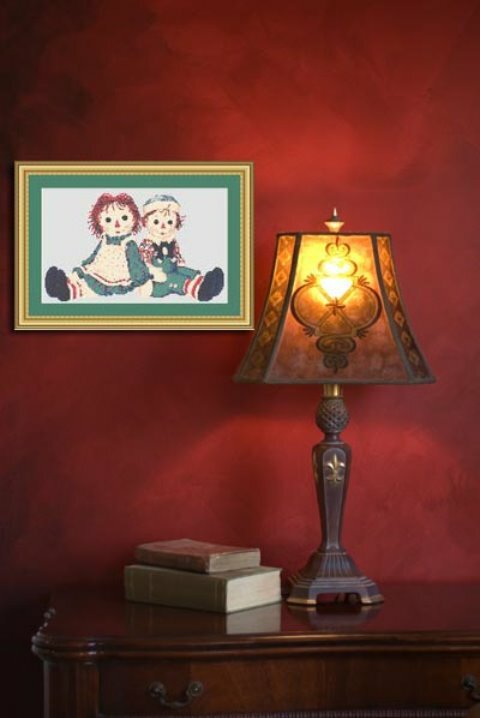 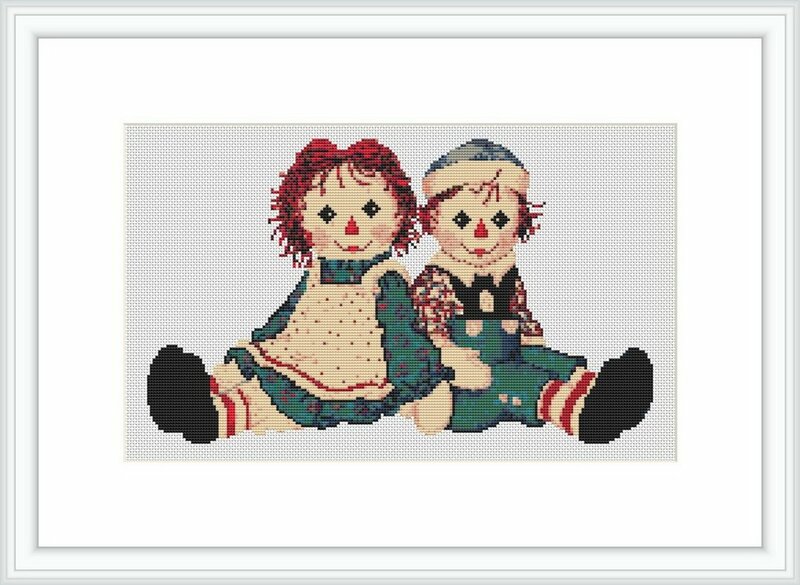 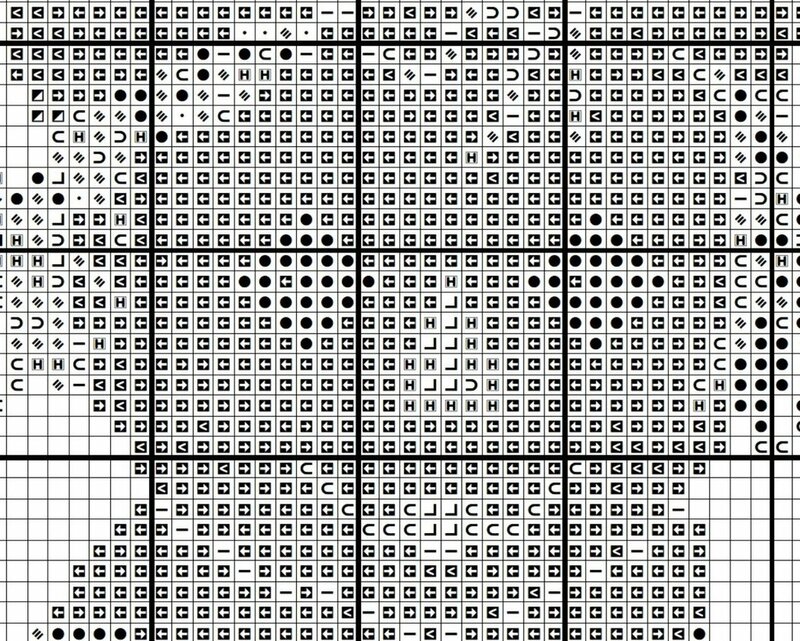 Counted cross stitch pattern of Raggedy Ann and Raggedy Andy dolls. 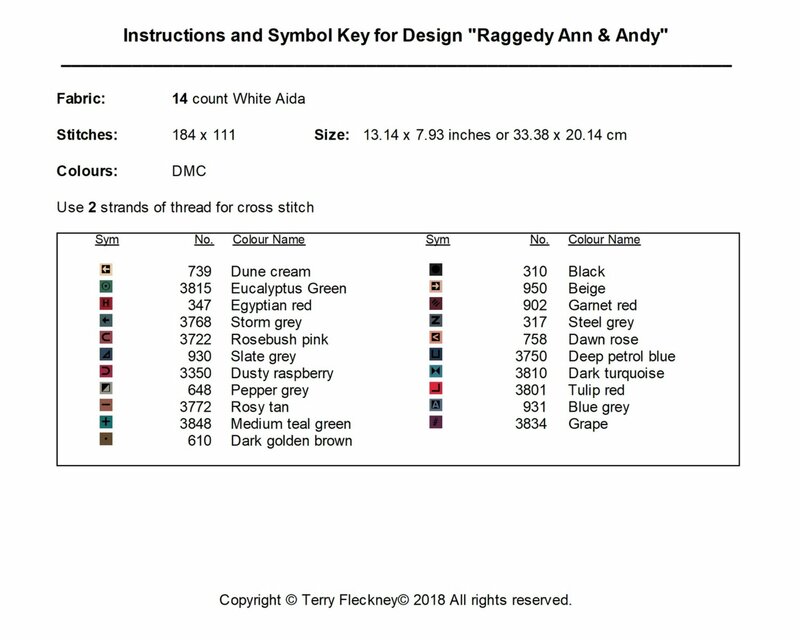 Design area for 14 count: 13.14" x 7.93"
Fabric: 14 count, best worked on a light colored fabric. 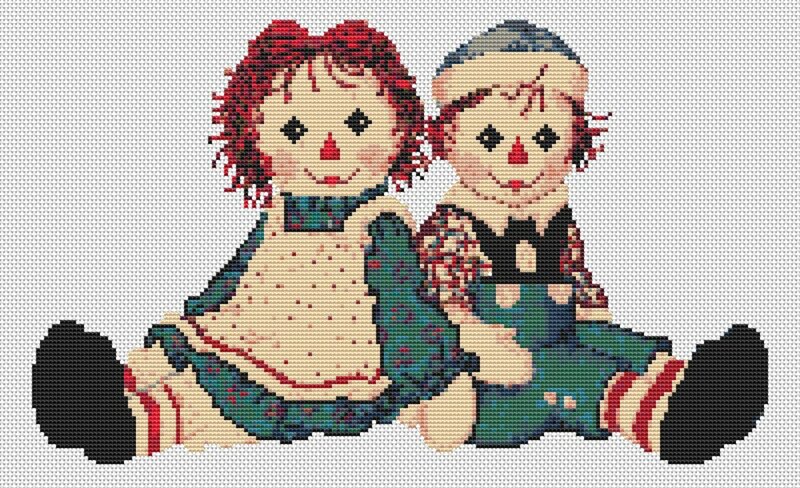 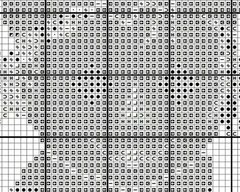 Background is left unstitched.